In a professional setting, a properly functioning heating and air system is fundamental to comfort and productivity. We offer everything you need concerning commercial HVAC services, including new installation, preventative maintenance packages and major or minor repairs. Our experienced technicians are trained to work with a variety of unit models, including “intelligent” technologies. Our main objective when working on your system is to deliver quality service in an efficient manner, using high quality brands such as Generac. Preventative maintenance is critical to extending the life of your HVAC system and avoiding break-downs that can make your office uncomfortable. Our service packages include changing filters, clearing drain lines, installing pan tabs to prevent drain clogging, cleaning coils, cleaning interior units and ensuring your ducts are operating at full capacity. A properly maintained system will save you money and prevent business interruption. 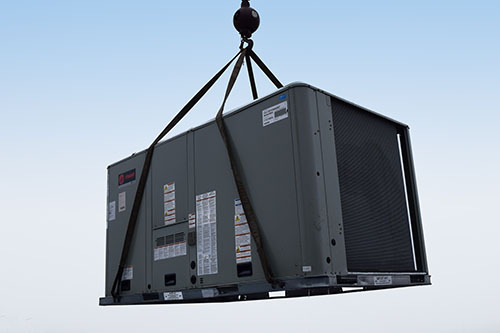 Our technicians are trained to install a wide variety of HVAC systems. If you’re ready for a new system, we can help you find the right capacity model to fit your needs. We take a close look at your office infrastructure to ensure we choose a design plan that achieves the best air flow possible. Once your system is installed, we offer a service package that includes regular changing of filters, clearing drain lines, and a regular examination of the unit and ductwork. We are pleased to provide HVAC major and minor repair work, including the installation of new parts, such as condensers and fans, clearing of lines and other issues that impact your unit’s ability to perform at its best. The climate in South Louisiana demands that your HVAC system work with minimal interruption. We’re here to get your system back on track, and to help you prevent the need for repairs in the future. Contact us today to learn more about our full HVAC service packages. We can help with a small problem, or assist with the maintenance or installation of your whole HVAC system.